As the universal language it is the key that will allow our students to develop in a totally globalised world. 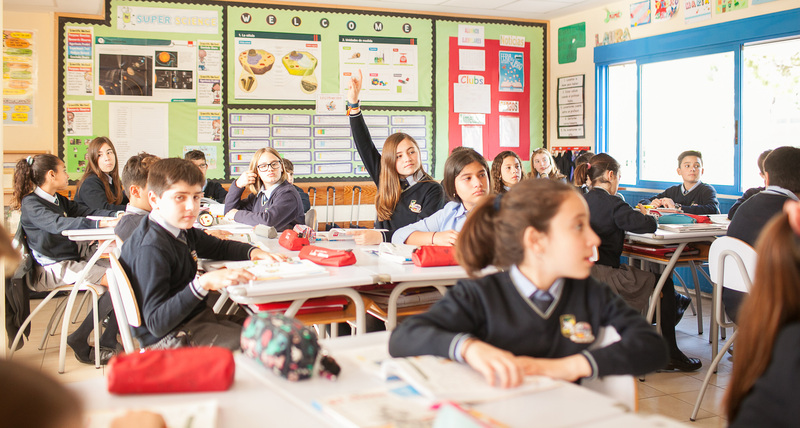 In Iale, a bilingual school in Valencia, you learn to master the English language, not just to know it. This mastery is achieved through linguistic immersion with classes taught by our native teachers in an international environment. Every child can achieve success, so we help our students to discover and enhance their talents by working in a personalised way, attending to their characteristics and needs. 3 ENRICHMENT THROUGH MUSIC, SPORT AND TECHNOLOGY. We focus on the essential disciplines of cognitive and intellectual development of the human being embodied in a structure of music, sport and technological education. We believe that through these disciplines we help students develop holistically and it is they who over time, choose the activity that will accompany them throughout their life according to their talent or primary skill.